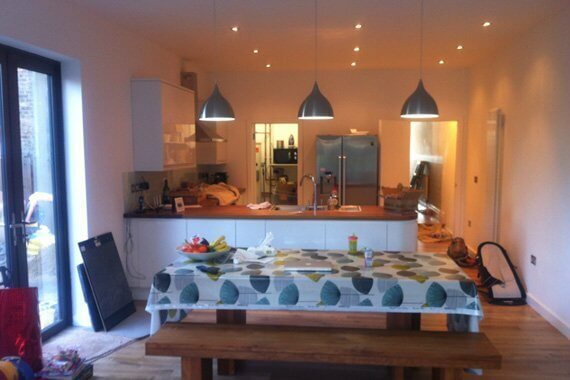 Are you looking for decorating services in London? With 25 years working in Greater London and Essex (in areas such as Romford, Dagenham, Chigwell, Woodford, Ilford, Brentwood, East London), Spenwell General Builders are the right construction company to help you with decorating and remodelling your home. There are many projects, big and small, that require decorative elements, and even the smallest finishing touches can make a big difference in the final result. Are you are taking on a larger refurbishment project and want a construction company with a keen eye for the more aesthetically important elements of the process? Are you looking for a company to help you with a smaller project, such as retiling the floor in your bathroom, to match its colours with new furniture or installations? Or perhaps you’re looking to change the wallpaper in your son’s room because he’s getting much too big for cartoon airplanes and would rather go for something a little more grown-up! Whatever your decorative ideas and desires, there’s always a way to bring them to reality, and at Spenwell we aim to do just that, complying with all safety regulations and durability concerns along the way, so that you can enjoy the final result and let us deal with all the technical details. With our many years of experience working for the community in Greater London and Essex, we will do our best to offer our decorating services in London, whether it’s plastering walls, carpentry, tiling, flooring, wallpaper or painting skills. Whether you’ve got a detailed project already in mind or are still working with several different possibilities, do give us a call and we’ll be happy to listen and offer our expertise and personal assistance with any detailed planning of the intervention. We are also happy to come by your property to come up with a realistic estimate of the work to be done and the price. The estimate carries no obligation to choose us for the job and is done completely for your benefit. If you live in the Greater London or Essex areas (especially Romford, Dagenham, Chigwell, Woodford, Ilford, Brentwood, or East London) it’s in your best interest to call a building company near you if you’re looking for quality decorative work. There are many reasons to call Spenwell Builders, as we are passionate about the work we do and have been doing it for over 25 years. We provide community-focused services and are involved at the local level, which means a personalised and efficient service for all our customers in Greater London and Essex.